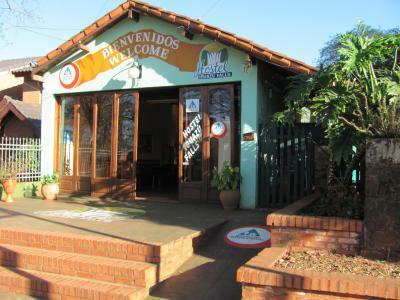 Lock in a great price for Hostel Iguazu Falls – rated 8.2 by recent guests! 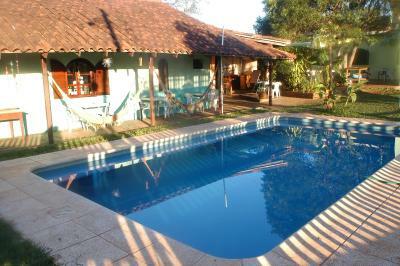 Nice location, nice patio area and pool, it was very hot and humid. 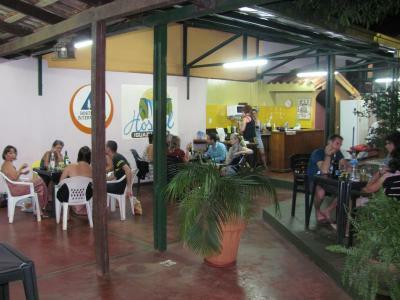 The location to the bus station and the vibe in the hostel. 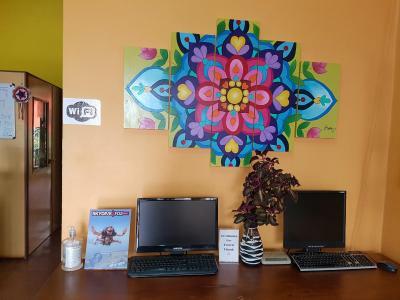 The common area was great, and staff was welcoming. 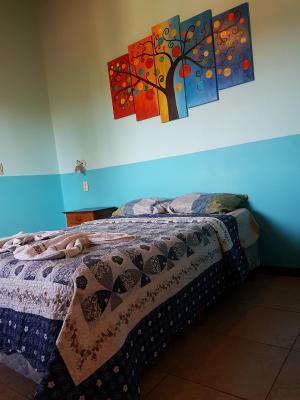 Great location close to cute little places to eat and shop, as well as the bus terminal for getting to Iguazu Falls. 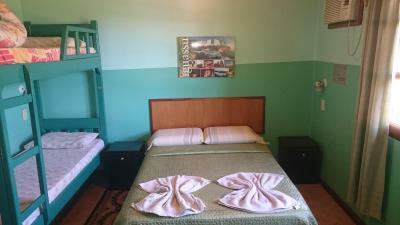 The hostel is close to bus station and center of the city. 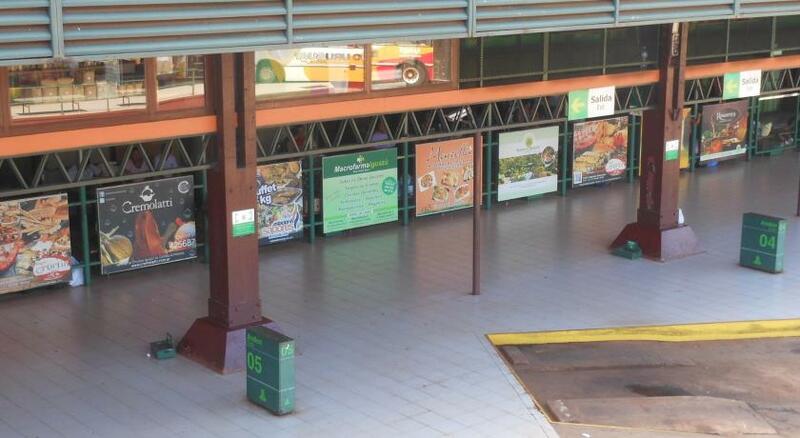 It's very close to the bus station and restaurants and shops. The pool was nice to dip in when it's so hot outside. Breakfast was good. 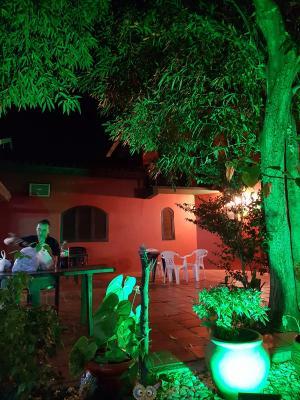 Nice environment to socialize. 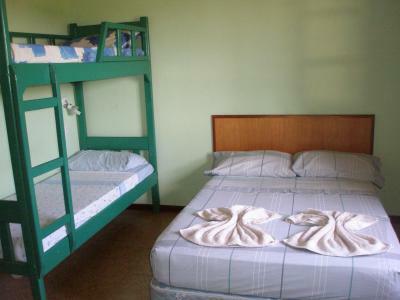 The hostel is well situated, close to the bus station and the town center. The kitchen outside is nice. 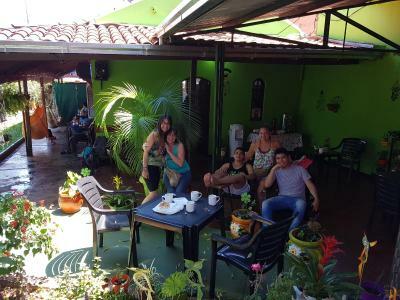 The big garden is a great place to rest and to meet other travelers. The staff is very helpful. The staff. They were very kind and helpful. I liked the kitchen area that connects to the pool area. 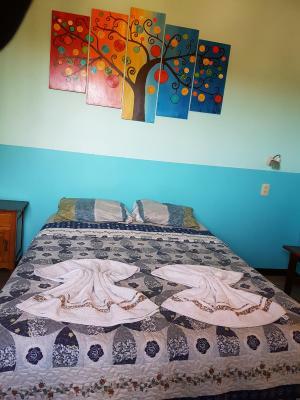 One of our best sellers in Puerto Iguazú! 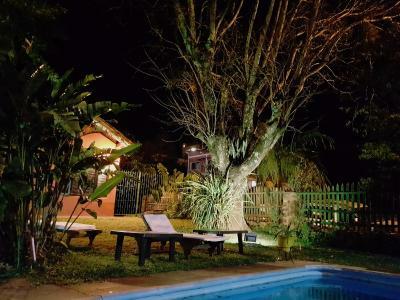 Featuring a garden with hammocks and a swimming pool, Hostel Iguazu Falls offers rooms with free Wi-Fi, and breakfast in central Puerto Iguazu. 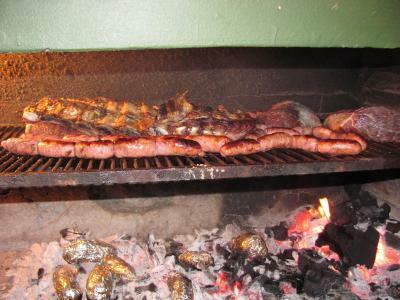 Common kitchen and BBQ facilities are available. The Iguazu Falls are 12 mi away. 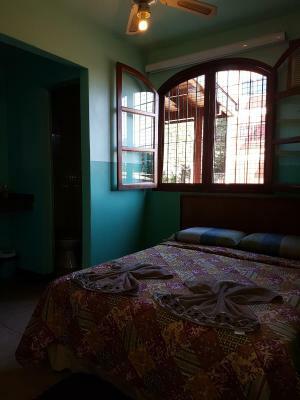 Rooms at Iguazu Falls Hostel have large windows, which makes them very bright. 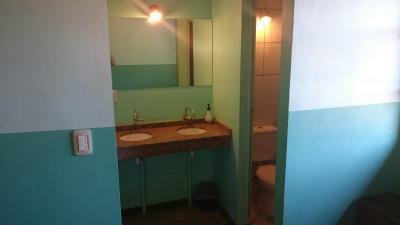 Some of them have private bathrooms. Guests can unwind in the garden or in the lounge, which features a TV set. Laundry and luggage storage services are provided. 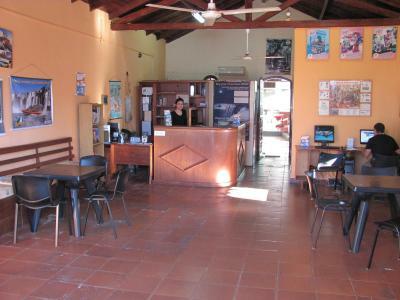 Excursions can be booked at the tour desk. 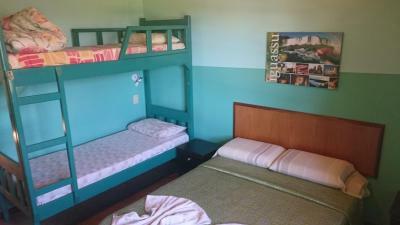 Hostel Iguazu Falls is 350 feet from the bus station. 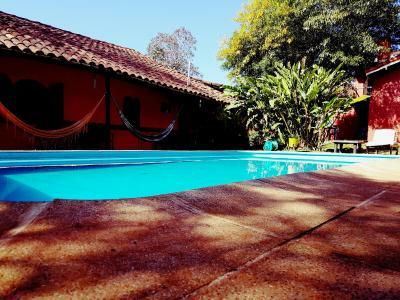 뀐 Located in the top-rated area in Puerto Iguazú, this property has an excellent location score of 9.3! 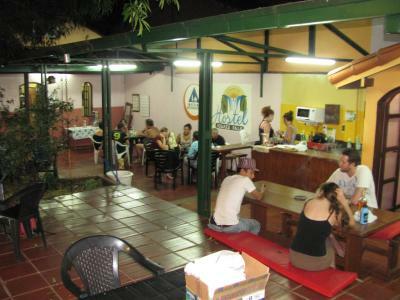 When would you like to stay at Hostel Iguazu Falls? 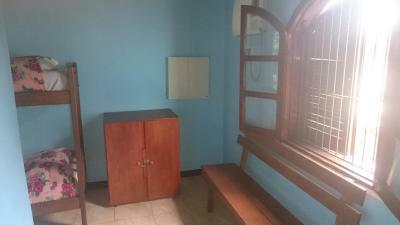 Features lockers and an external shared bathroom. 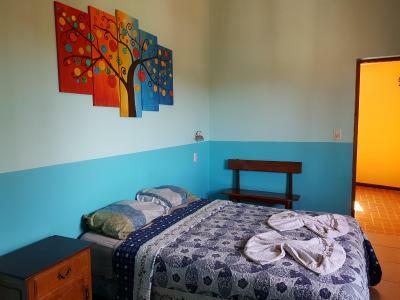 Children under 16 years old are not allowed in this room. 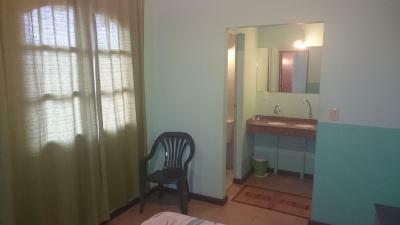 Features a double bed and private bathroom. 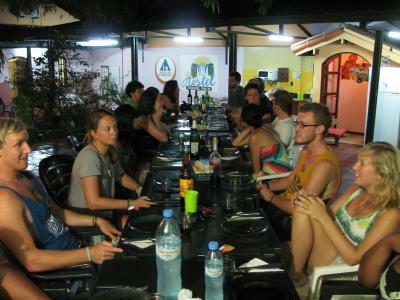 House Rules Hostel Iguazu Falls takes special requests – add in the next step! 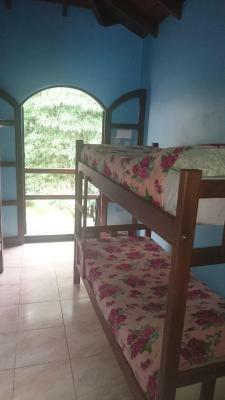 A lovely plain little hostel which is comfortable. Nice swimming pool area. Pool after a long day travelling was lovely to chill around.. homemade cake for breakfast..
i loved the beautiful garden with all plants, the atmosphere and the really frindly stuff! nice vibe! and close to the busstation! 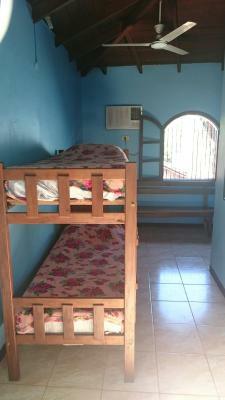 This hostel was pretty unclean. 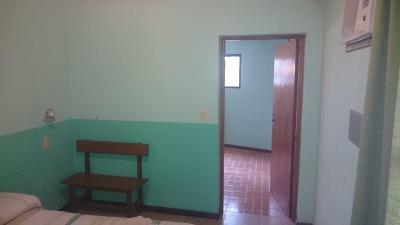 I was in the shared female bedroom and I could see ants crawling on the wall. The weather was hot and humid and the fan and AC were not strong enough to counteract this. 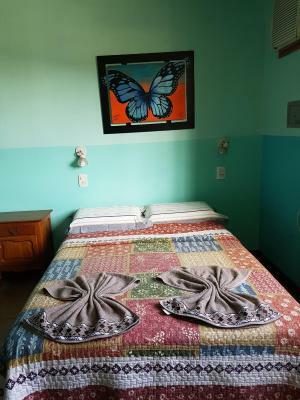 Additionally, the staff leaves the windows and doors in the rooms open – this was a big problem for a jungle area because bugs get in during the night. My friend and I both got numerous mosquito bites. This should be a no-brainer for a tropical climate, keep windows and doors closed, use screens!! 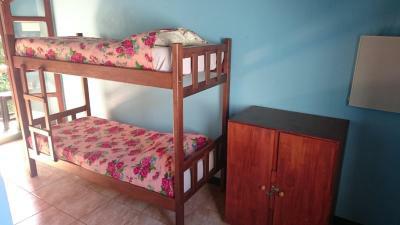 The bunk bed was old and rickety - made noises every time you moved. 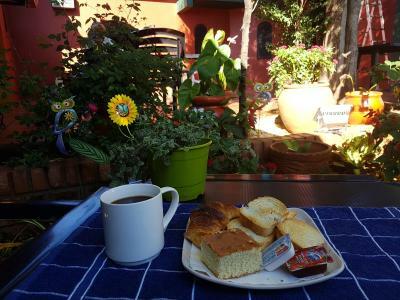 Breakfast was just coffee and bread, bread, bread. 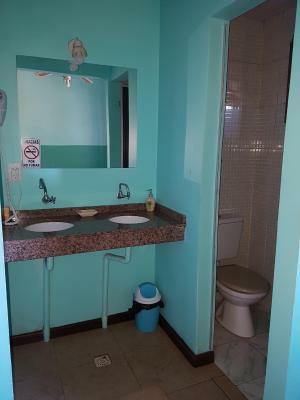 Good bathroom, the showers had nice hot water and pressure. 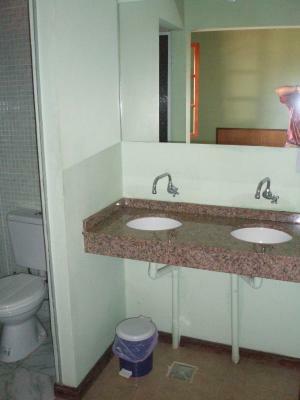 The place was clean. The pool area was nice. 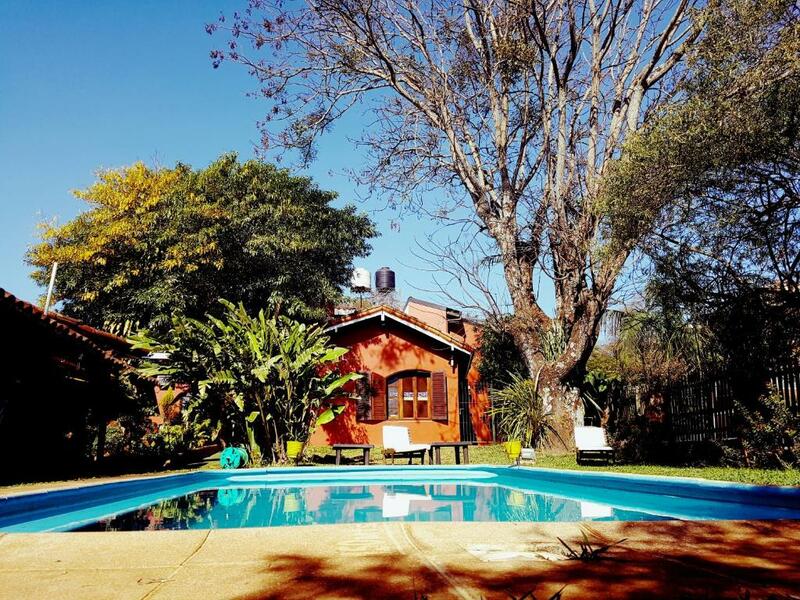 loved the outdoor area with the garden, pool and kitchen outside. was very happy with the female dorm as well. 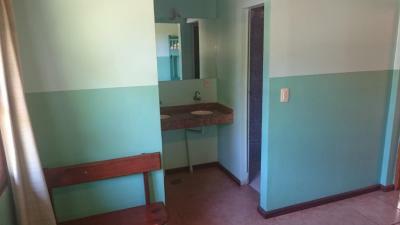 the bathroom and showers are great and one of the best settings I have seen. location is very great too. Could only pay in cash. Wifi wasn't working properly. 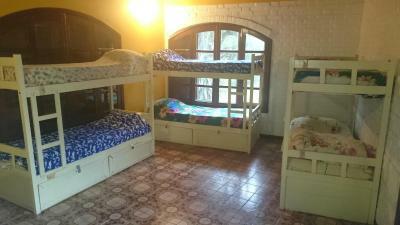 Really lovely hostel and helpful staff. 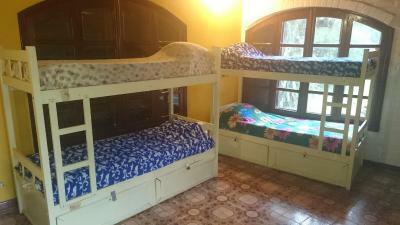 Great location and comfortable beds in a spacious room. 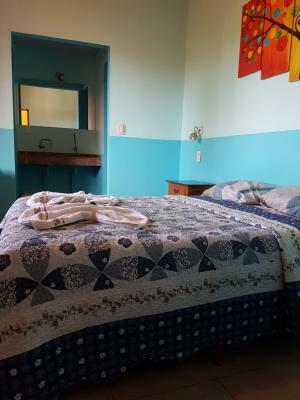 Given the high review on Booking.Com I was expecting better but it really was a budget hostel and not one of the better ones I've stayed in on my trip! On arrival I was told that it was cash only payment and this is stated on Booking.com but this is not the case. They should communicate cash only better before guests get to the property. 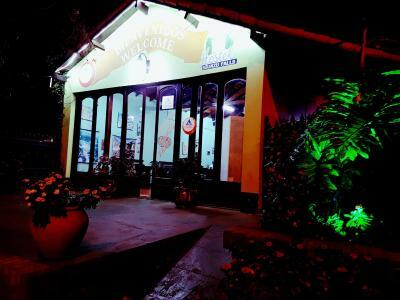 After arriving at 2:15pm I was told "it wasn't possible to go to Iguazu Falls that afternoon" and was deterred by reception to go, even though last entrance is at 4:30pm and the park shuts at 6pm. I decided to chance it anyway and had a fantastic afternoon at the park, squeezing in two trails and beating the crowds by going in the afternoon, I even got a half price ticket for the next day, if like me you want to split the park over two days. 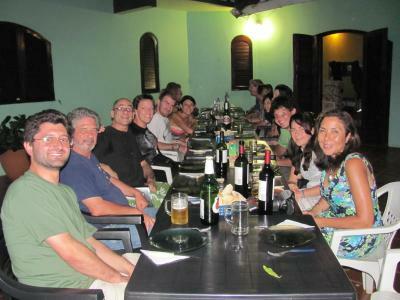 Had I listened to the reception staff I would have missed out on a great day at Iguazu!! I would expect they would be trying to help guests get the most of out their stay. The breakfast wasn't great either and the butter I got was mouldy. 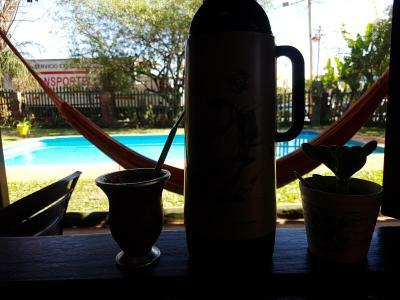 The only good thing about this hostel was the location. 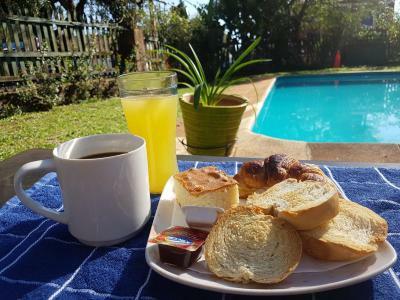 It's two minutes from the bus station that takes you to Iguazu Falls and the town, which has restaurants, shops and supermarkets. The staff weren't help, even a little rude. An example when I asked to confirm the bus stop I got a lot of attitude - sighing and eye rolling. Brekkie was limited. Location was great. Nice area to sit, cook, and rest. Brekkie was limited, but good coffee and nice cake.